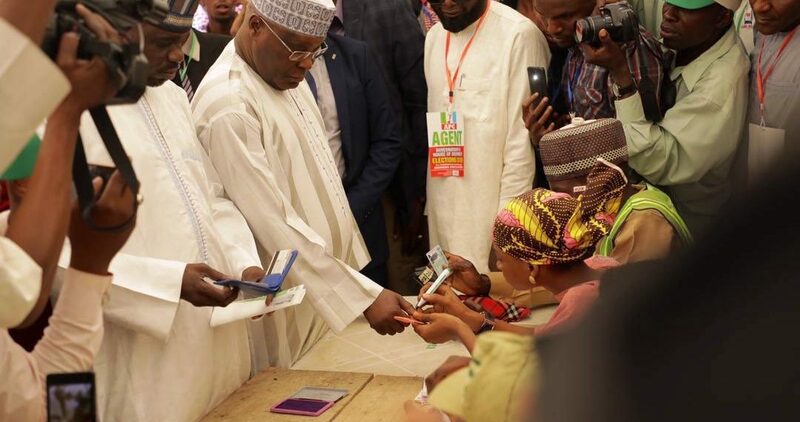 The Presidential Election tribunal has granted the request by the Peoples Democratic Party (PDP) and its presidential candidate, Alhaji Atiku Abubakar, to serve their petition challenging the outcome of the February 23, 2019 election, on President Muhammadu Buhari through substituted means. Specifically, the petitions are to be served on President Buhari through any senior officer of his political platform. The three-man panel which sat in a “pre-hearing session” of the Presidential Election Petition Tribunal granted the request contained in the petitioners’ ex parte application. Granting the ex parte application, Justice Abdu Aboki, who led the panel and delivered the lead ruling, said, “it is in the interest of justice” to grant the prayers in the petitioners’ application. “Leave is hereby granted to the applicants to serve the second respondent to the petition (Buhari), through any senior official or an officer of the APC at the party’s secretariat in Abuja.‎” The petitioners’ lead counsel, Chief Chris Uche, SAN, had earlier moved the application. The petitioners had on March 18, 2019, filed their case to challenge the Independent National Electoral Commission’s declaration of Buhari and his party, the APC, as the winner of the election.